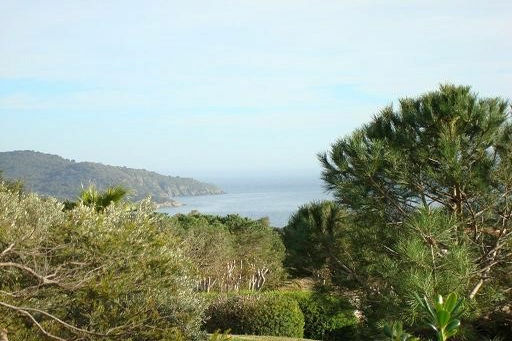 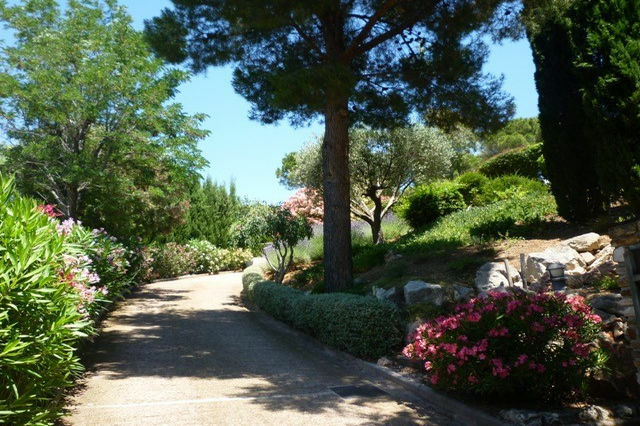 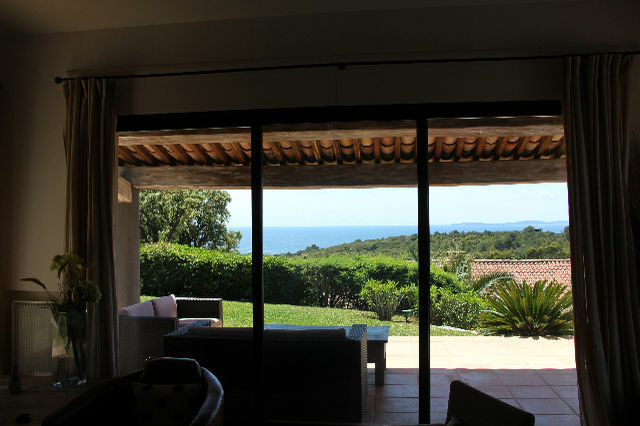 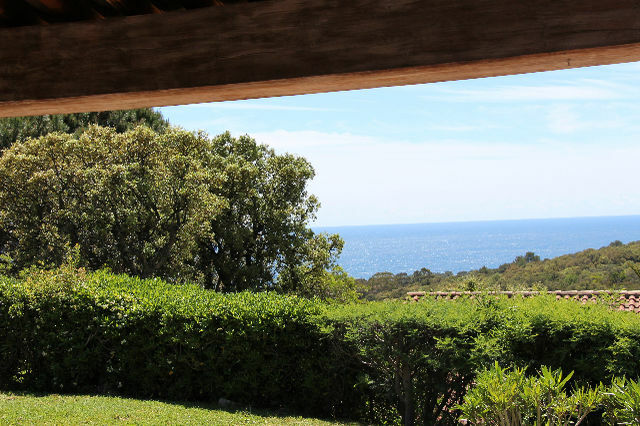 LA CROIX VALMER: architect villa surrounded by a lovely garden, enjoying a panoramic sea view. 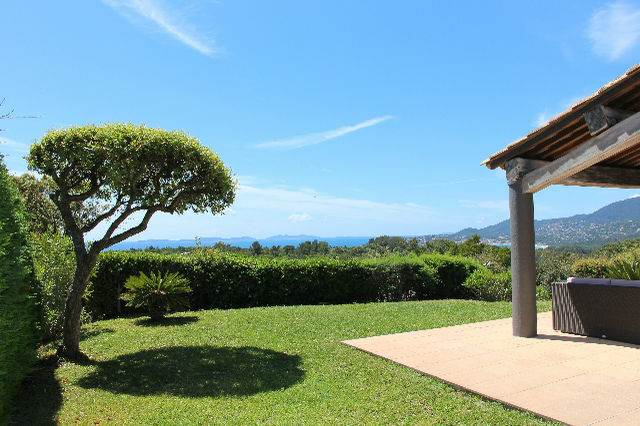 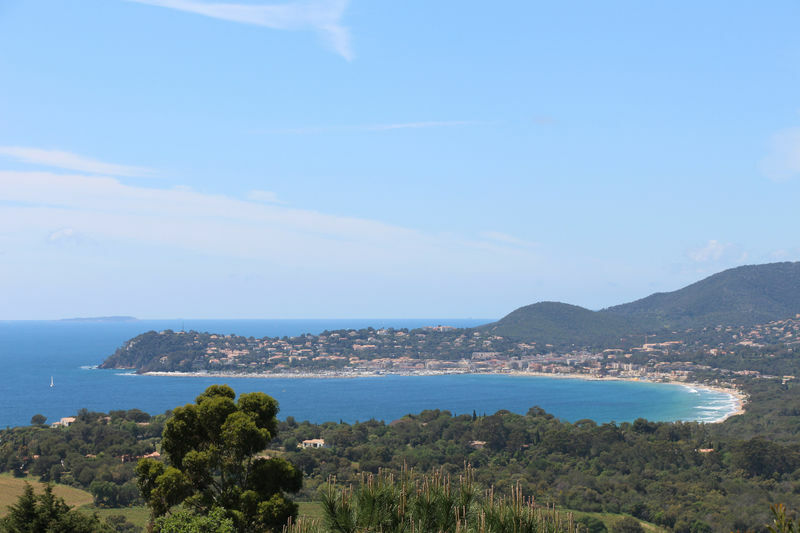 Beautiful air-conditioned villa, completely renovated, surrounded by a perfectly maintained garden of 1400 m2 and enjoying panoramic views of the sea, Cap Lardier and the 3 Islands. 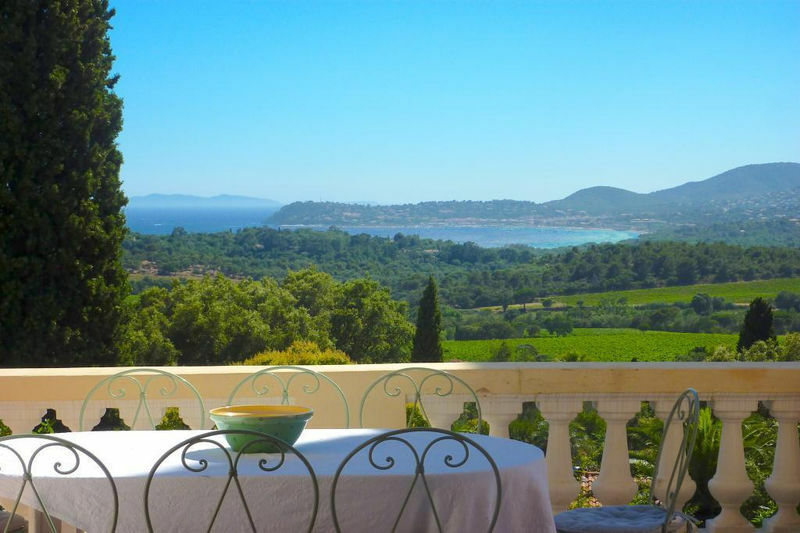 Ideal for a pleasant stays with family or friends seeking a luxury holiday at the Croix Valmer. 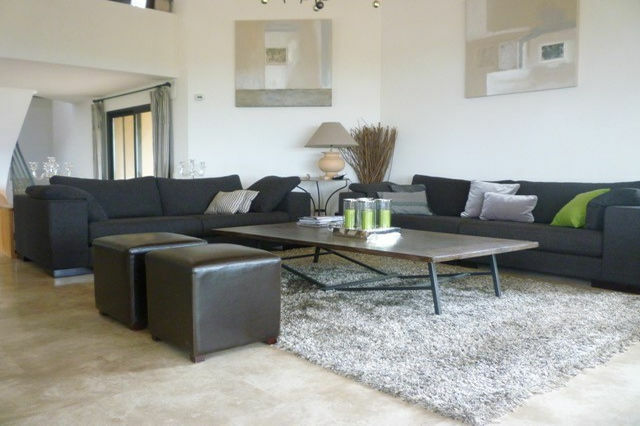 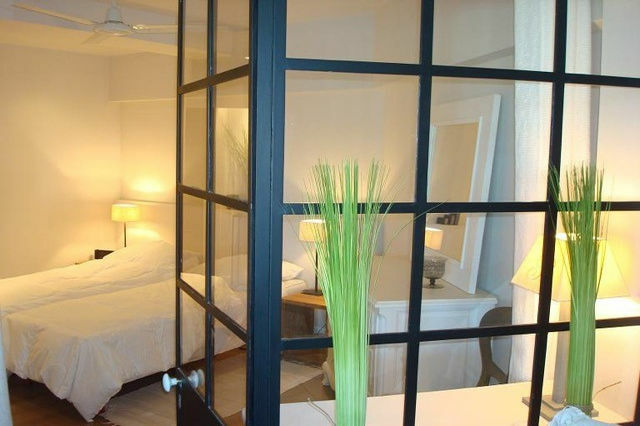 The living space of this beautiful modern villa is airy, bright and extremely user friendly. 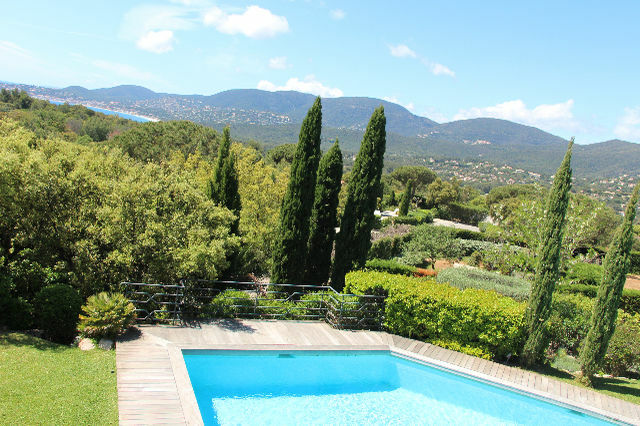 The 5 bedrooms are organized in three spaces: the first, upstairs, with the master bedroom and private terrace with sea view, the second, on the garden level, and the third, fully autonomous, opens onto the pool area. 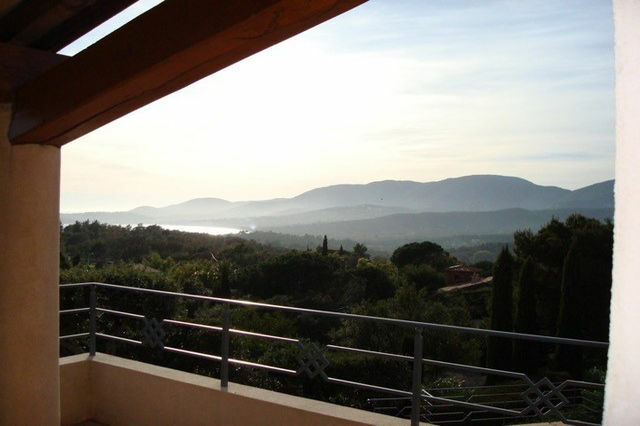 The distribution of this beautiful villa has been organized to take advantage of the nice light all day, from the morning to the evening, and with access to the numerous terraces. 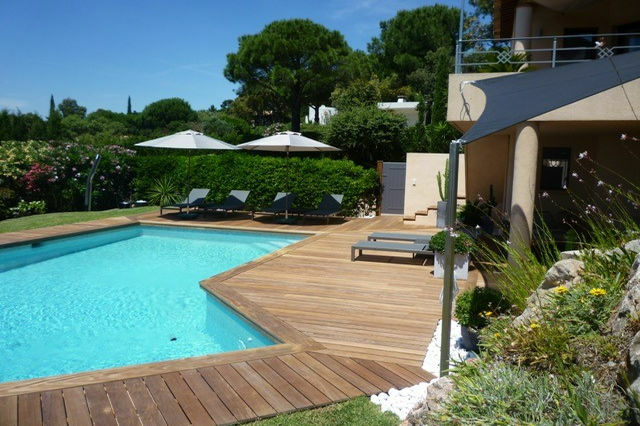 There are outdoor lounges and several dining areas. 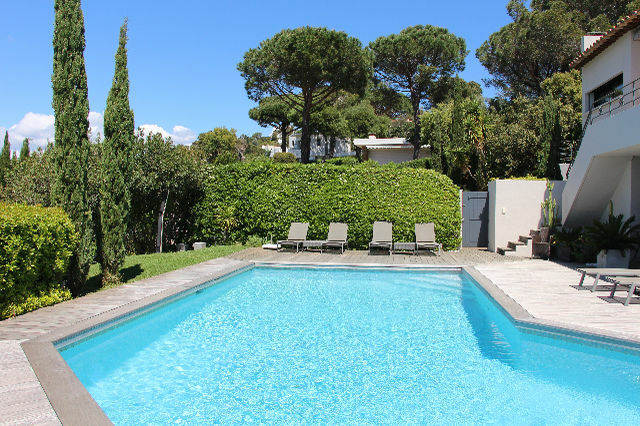 The pool area is intimate. 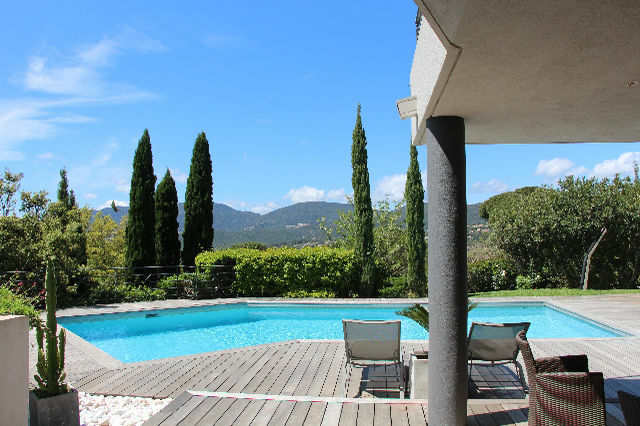 This modern house in La Croix Valmer, in the sought-after area of ​​the 'Domaine de la Pinède' is just ideal for large families, wanting to enjoy quality time on the French Riviera.